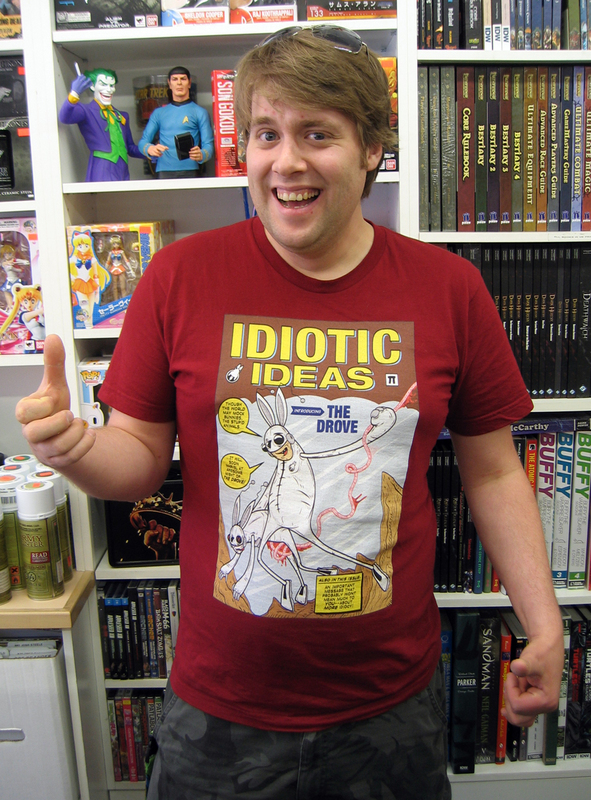 Kris is super excited about our Idiotic Ideas shirt! He said it’s the most comfortable shirt he owns too! Thanks Kris! This entry was posted in Friends Of The Drove and tagged comic, death, drove, fake cover friday, Idiotic Ideas, Marvel, merch, murder, parody, sci-fi, Spider-Man, the drove, thedrove, webcomic. Bookmark the permalink.